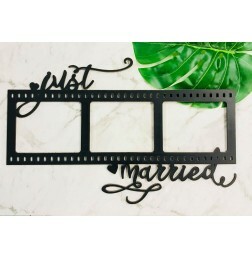 We have a large range of wedding items and our range continues to grow. 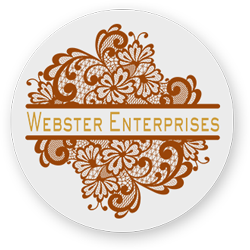 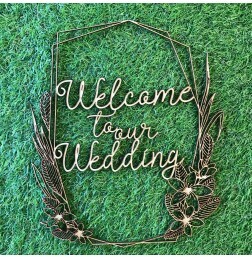 We would love to help you create something unique for your Wedding Day. 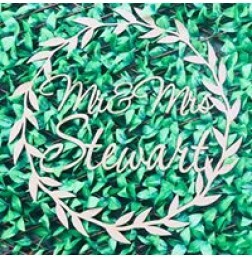 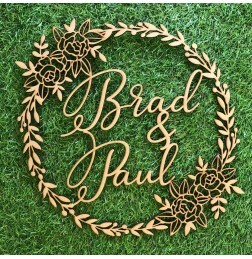 PERSONALISED CIRCLE RING WITH FLOWERS Starting from 30cm in diameter up to 90cm in either 3mm or ..
PERSONALISED OVAL WREATH Starting from 30cm in width up to 90cm in either 3mm or 6mm MDF. 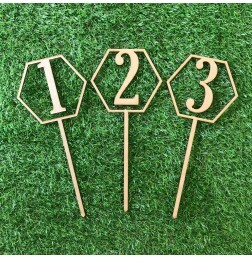 ..
PERSONALISED FLORAL HEXAGON FRAME Starting from 30cm in diameter up to 90cm in either 3mm or 6mm ..
HEXAGON TABLE NUMBERS Made from 3mm MDF. 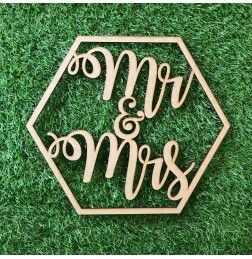 Measures 30cm tall.Can order up to any..
HEXAGON MR & MRS Starting from 30cm in diameter up to 90cm in either 3mm or 6mm MDF. 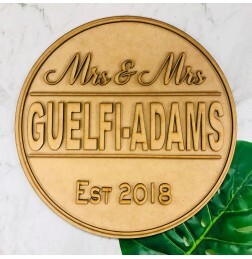 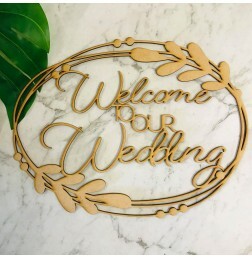 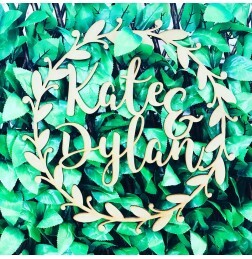 ..
2D Round Wedding Plaque Made from 3mm MDF. 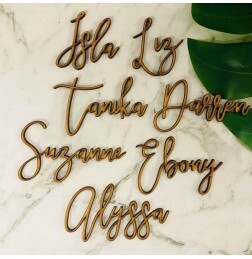 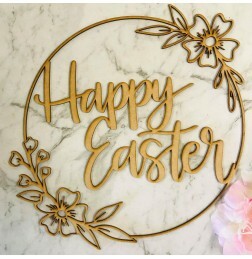 Top layer will come with self-adhesive backing ..
PLACECARD NAMES 5cm high (capital letter) individual names cut from 3mm mdf only.T..
OH BABY FLORAL BUD RING Starting from 30cm in diameter up to 90cm in either 3mm or 6mm MDF. 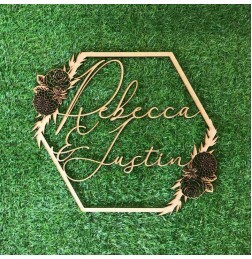 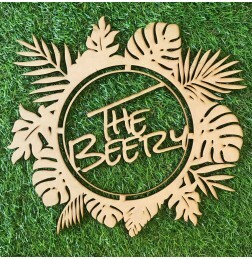 ..
PERSONALISED NAME RING 6 Starting from 30cm in diameter up to 90cm in either 3mm or 6mm MDF. 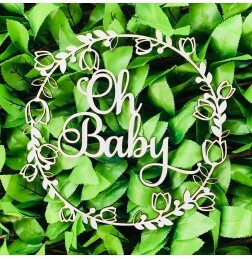 &nbs..
PERSONALISED NAME RING 5 Starting from 30cm in diameter up to 90cm in either 3mm or 6mm MDF. 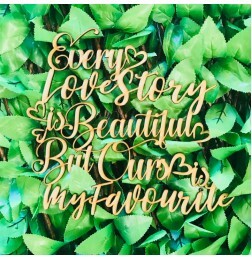 &nbs..
EVERY LOVE STORY IS BEAUTIFUL BUT OURS IS MY FAVOURITE Starting from 30cm in height up to 90cm in..